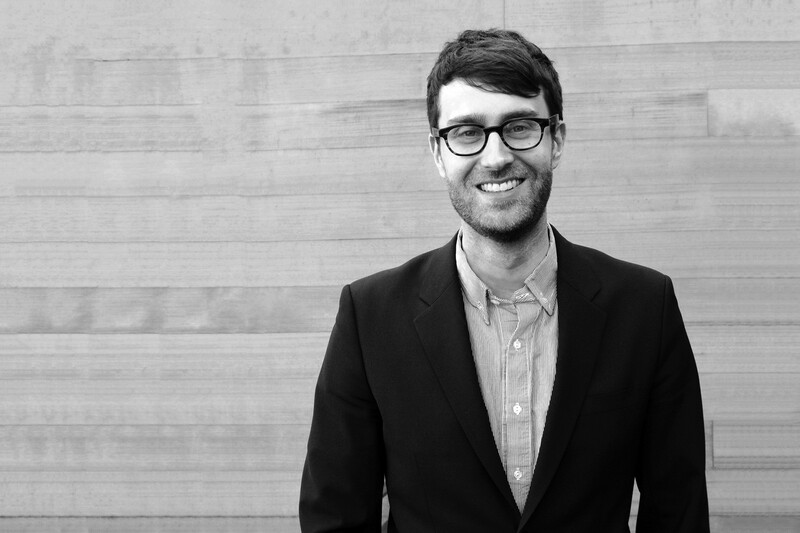 Jaron Lubin is a Principal of Safdie Architects in Somerville, Massachusetts. He is currently serving as Project Designer for two projects in Singapore: Jewel, a lifestyle destination at Changi Airport and Sky Habitat, a new condominium complex in the Bishan neighborhood. He has directed numerous competitions at Safdie Architects including the Xiqu Opera House in the West Kowloon Cultural District in Hong Kong; the National Art Museum of China in Beijing; and the National Library of Israel in Jerusalem. 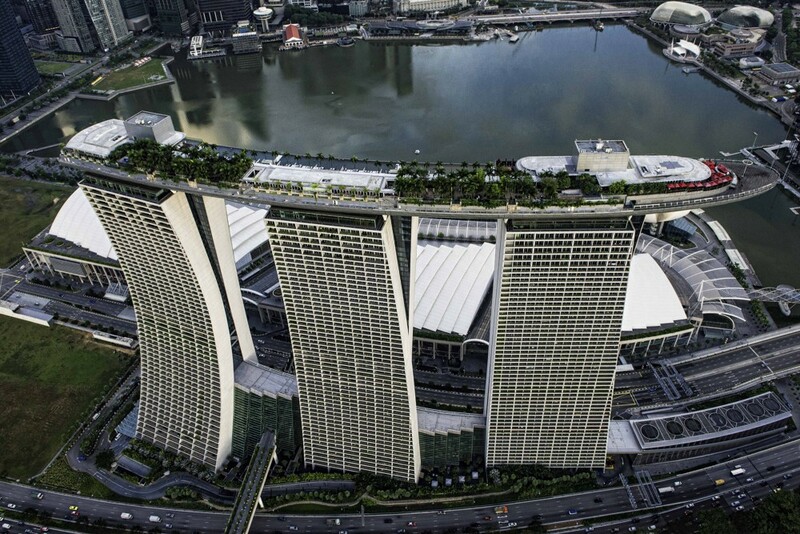 Previously, he was integral to the competition-winning design effort for the Marina Bay Sands Integrated Resort, most notably as resident design architect for the SkyPark. Modelo spent some time learning about Jaron’s unique approach to architecture and about his journey through the profession. My interest in architecture started at an early age. My father is an architect and my mother is a medical illustrator. I was raised in a suburb of Detroit called Bloomfield Hills, Michigan, and spent a lot of time with my family at Cranbrook, enjoying the landscape, the sculpture gardens and all the great architecture there. I worked with my father from an early age so that’s how it all started. Discovering my voice is I think a continuous process. When I was younger, I was heavily engaged within arts and also music programming in and out of school. I went to the University of Michigan in Ann Arbor to study architecture, I just knew that’s what I wanted to do. I helped my first studio critic with many small projects for several years and learned a lot from that experience. From there, I went on to travel to UCLA for graduate school. In LA, I was surrounded by some really wonderful people who I still call my closest colleagues and friends. I joined Safdie Architects twelve years ago, and Moshe has been a great professional mentor. I have always been interested in design technology and also geometry in general. Over time, I have taken on more responsibility when it comes to working with clients and consultants, and I am also helping to manage the practice. Each project we approach from first principles. There are of course common themes such as merging interior and exterior, finding the best fit to the site, or the best fit for say a particular cultural context. But you cannot wear a bracelet that says ‘what would we do next?’ Every project we approach with fresh eyes. I help to oversee design teams and get to see a variety of different types of projects. My focus is also the engagement of new software and other technologies and various outreach efforts to consultants to help bring new ideas to our teams and to our process. For instance, I sit with Moshe on the Gehry Technologies advisory board. I also work with the other Principals to run the office, and all of the initiatives we undertake. For the Marina Bay Sands in Singapore, our approach was to come with a strong design model that could be easily broken down into manageable bits with relatively small and focused design-engineering teams, tackling the components as individual projects within the greater whole. That is part of how we were able to deliver the job so quickly and effectively. 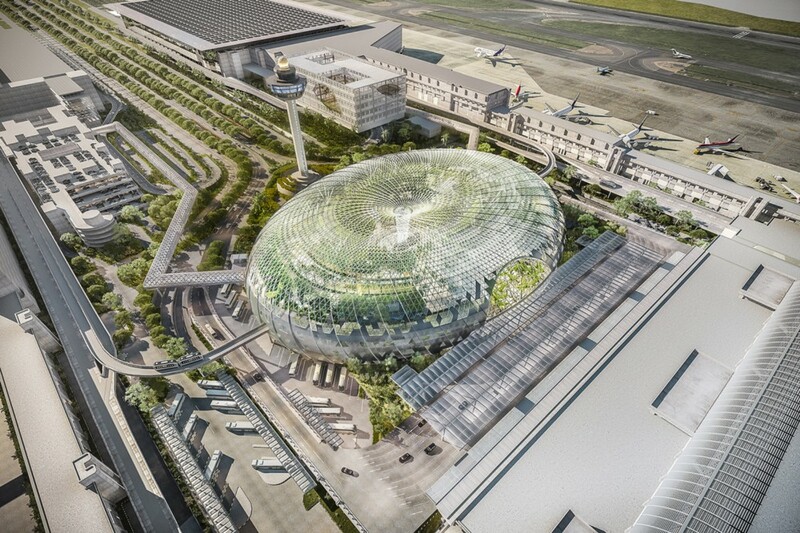 On another front, The Jewel at Changi Airport is a recent project that is all about integration. We wanted to create a building that felt effortless, but actually is quite complex from the standpoint of both program arrangement and built structure. It will be one of the world’s largest free span diagrid roofs, shaped as a torus, so as to create a waterfall inside the building. Our approach here was to lock in very early a vision for the job with the entire team of client, consultants, and working groups, and then because the bones were strong, all the other systems find their way into place one by one. That is of course oversimplifying things. We have a brilliant team on the ground in Singapore and a very strong group of client and engineering collaborators. The state of the users of design software today is very good. We are facing an interesting evolution, whereby we care less about the specific software and more about developing custom digital tools. 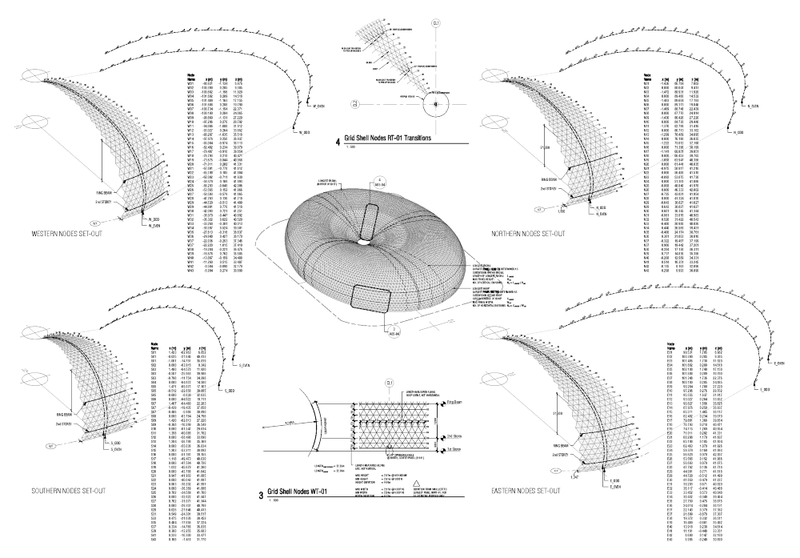 For instance, for the Jewel Project at Changi Airport, we created many custom definitions to facilitate the shaping, the panelizing of the surface, and the optimization of the building. That had nothing to do with some out of the box software. 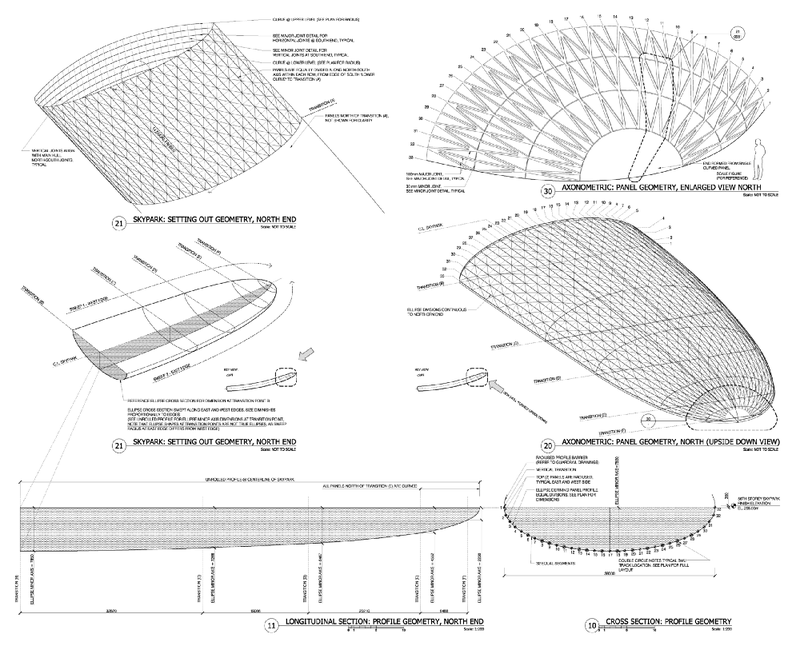 The team had to craft the process that facilitated the design and ultimately the production of tender drawings. Before, I think people would say you would like one software package better than another. But now I think it’s about being more ambivalent about what you are using and coming up with a better workflow and better toolkits. I recently saw a presentation pairing the speed of the construction of One World Trade side by side with what technology had been developed and released in the same time span. There is a total mismatch of time scale. It was really interesting to see that by the time a building is completed, the technology that we have planned to put into it is already outdated. That’s a real problem. But we cannot simply build super-sized empty boxes that are generic to fit any future technology; we still need to build architecture. I think we will be looking over the next years to find a better model to allow architecture to be more flexible to accept new technology. As issues go, as a practice we have focused a lot of attention on the topic of dense urbanism, where we seek better models for mega-scale mixed use developments. Cities are expanding at an unprecedented pace and we think more attention needs to be given to appropriate guidelines and incentives that can drive better master planning and better city design. Another issue that is always on our agenda is the study of prefabrication in construction. In the 1960s, Moshe designed the pre-cast concrete modules that created Habitat ’67 in Montreal. But the construction industry has not yet fully embraced the potential of pre-fab. We have a research group within the office that’s focused on these issues. For any complex project, a huge army of folks is required to get from one side of a job to the other, from concept through completion. There are so many steps along the way where things can go wrong, and it is definitely not an instant process. It is all about working with the team and how you solve problems together. I do not think you understand that at the beginning of a career. It takes a lot more experience to understand how to create a great piece of architecture.